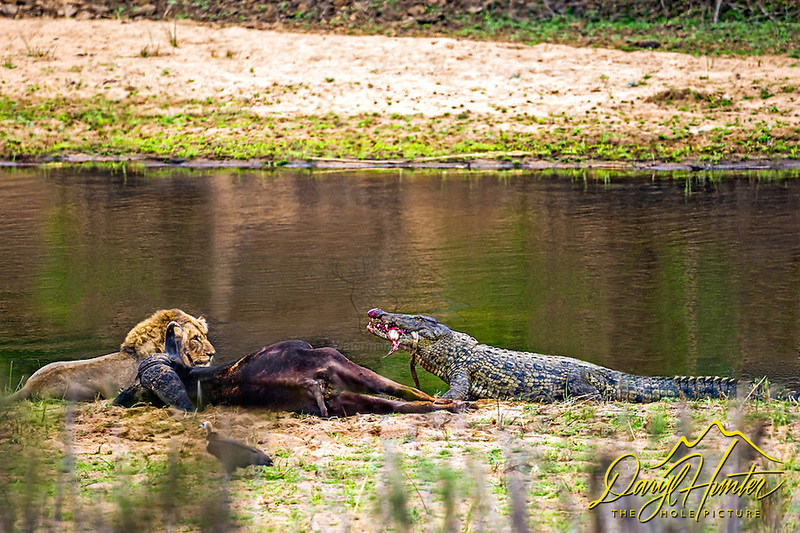 A male lion seem to be sharing a buffalo carcass on the bank of the Sabi River in Kruger National Park with a crocodile. Sharing? not so much; shortly after the photo was taken, another crock came up, the lion and his unseen brother left the buffalo and then the to crocodiles drug the carcass into the river.